On-line registration closes on Friday, April 19th at 5:00 pm. 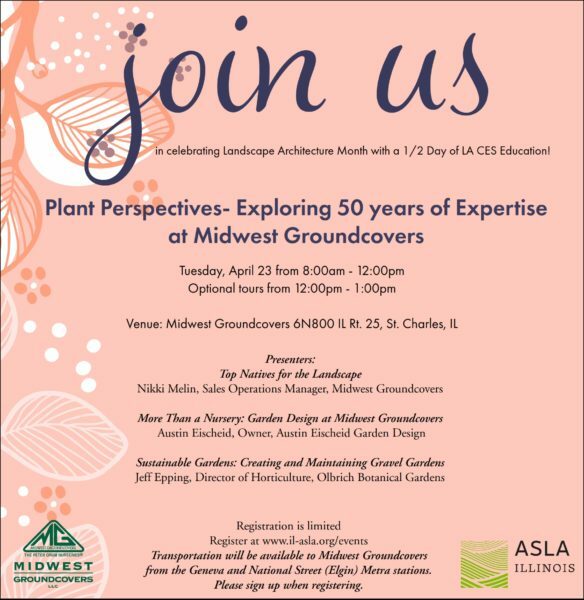 Thank you to Midwest Groundcovers for Partnering with ILASLA to help celebrate Landscape Architecture Month! Midwest and ILASLA support the advancement of the green industry. Your registration benefits the ILASLA Advocacy Fund which is used to actively monitor legislative issues while safeguarding the work current and future professionals.